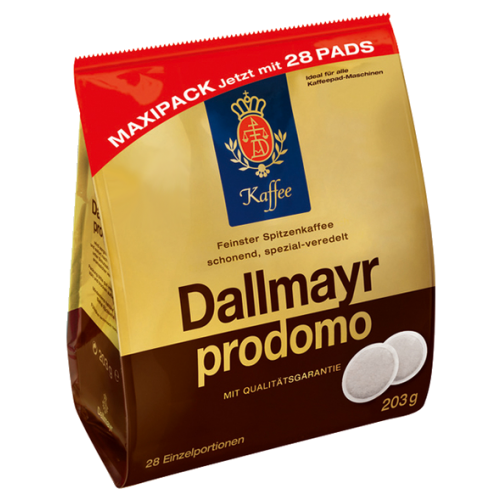 Dallmayr Prodomo coffee pads is a delicate composition of exquisite Arabica beans. Dallmayr Prodomo has a nice balanced aroma. The carefully composed blend and roasting provides a perfect pleasure.